Until very recently, I had a pretty strong opposition to veggies. It's not that I didn't believe in their healthful goodness or Michael Pollan's truism "Eat Food. Not too much. Mostly Plants." It had more to do with the fact that a plate of salad, no matter how gussied up and disguised, bored me to tears. I would think to myself: Who in their right mind would order a bunch of lettuce leaves and sprouts when they could have a juicy rare steak instead? Or a golden roast chicken! Or gorgeous seared fish! I didn't put much thought into the concept of being good to your body. My logic system went something along the lines of "Life is short. Enjoy it." And then, something just changed. It started when I got my wisdom teeth extracted and was thus rendered incapable of eating solid foods for a good two weeks. I subsisted on liquid soups and yogurts and not only did I shed some pounds, I started to feel lighter, happier, more in tune with myself. And then, I happened to read a couple of books on food--namely Alicia Silverstone's "The Kind Diet" and Jonathan Safran Foer's "Eating Animals," and both had significant effects on me. The bottom line was this: Eating meat, poultry, even fish, is bad for you, bad for the earth, and unthinkably cruel to the animal you're eating. The amount of pain and suffering these creatures endure every single day of their lives is shocking and brutal. And completely unnecessary. Anyway, I haven't gone vegan completely, but I've reduced my meat/poultry intake to about once a month. The rest of the time, I focus my meals mostly on plants and whole grains with the occasional serving of fish thrown in. And you know what? I love it. I'm happier for it, and I have the proud, heretofore unknown feeling of making a conscious effort to take care of myself. 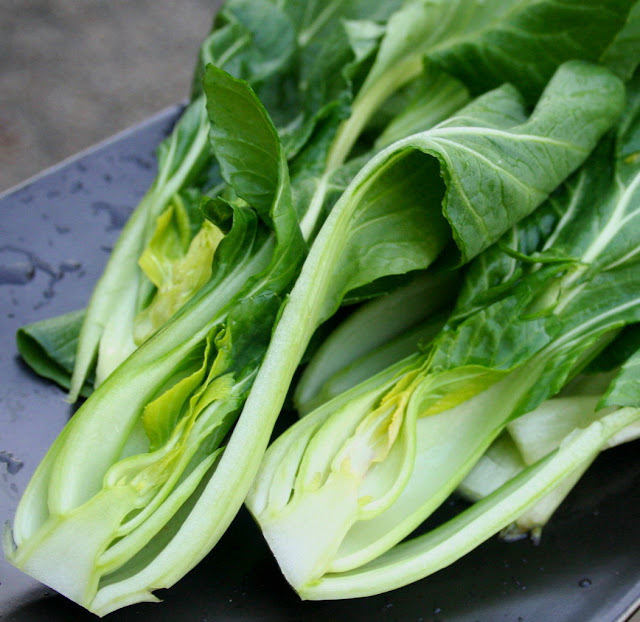 This newfound way of eating has launched a new way of cooking also, with a concentration in making veggies taste as good as humanly possible. 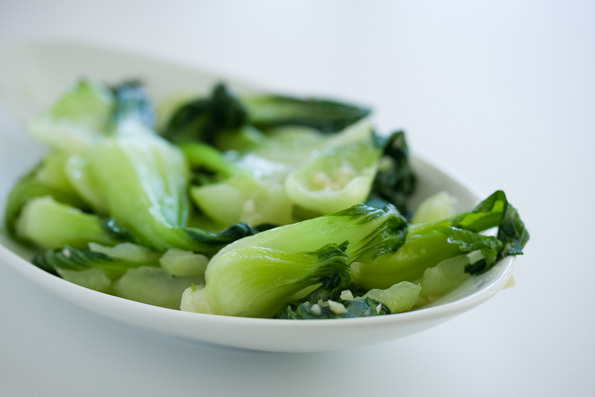 Here's a recipe for simple bok choy that I whipped up for dinner last week. It's easy-as-pie to make, deliciously savory, and healthful. Perfect for a quick weeknight meal. I tried this recipe yesterday. It's very easy to cook and very delicious. Actually, my family and friends liked it a lot. Now, I'm planning to cook this again. I hope I can always find delicious recipe like this. Thanks for sharing this!